No Thanks Yes Script please! Yes Block please! Add Customer Supplied Line Drawing? 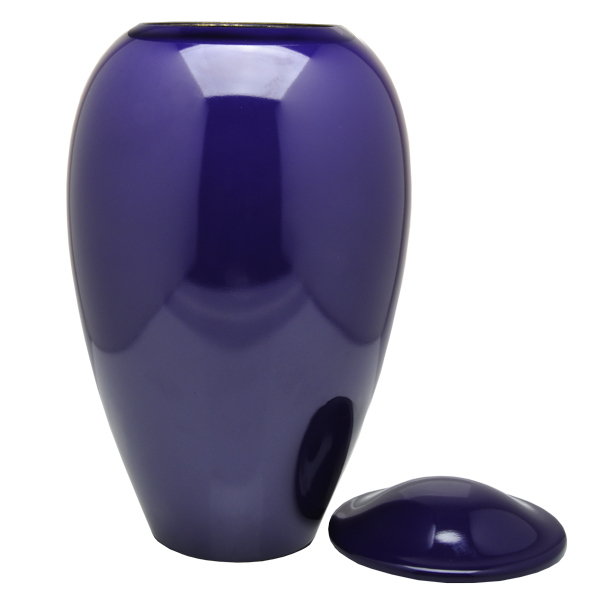 This exceptional metal urn is finished in a brilliant purple and makes a beautiful final resting place for your cherished companion. 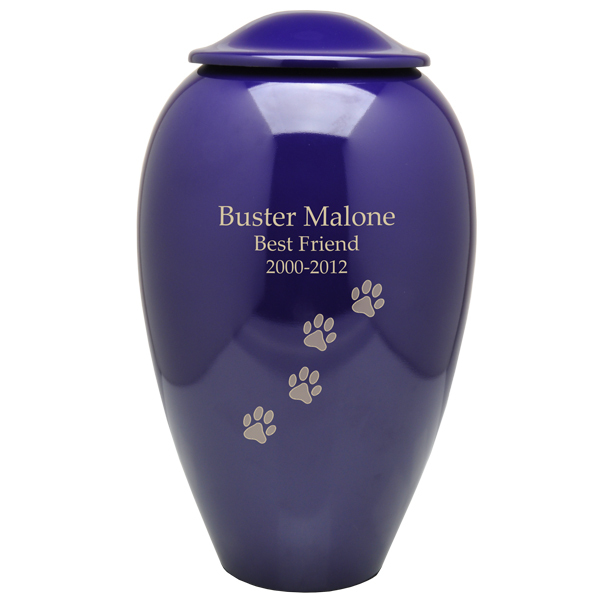 Suitable for both large and small pets because for smaller pets, this urn can house the ashes plus small keepsakes such as id tags and little favorite toys. Personalized engraving looks dazzling with the contrast between the brass and purple. 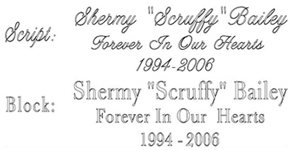 Capacity: holds approximately 200 cubic inches or the ashes of a pet that weighed 200 lbs or less at the time of passing.